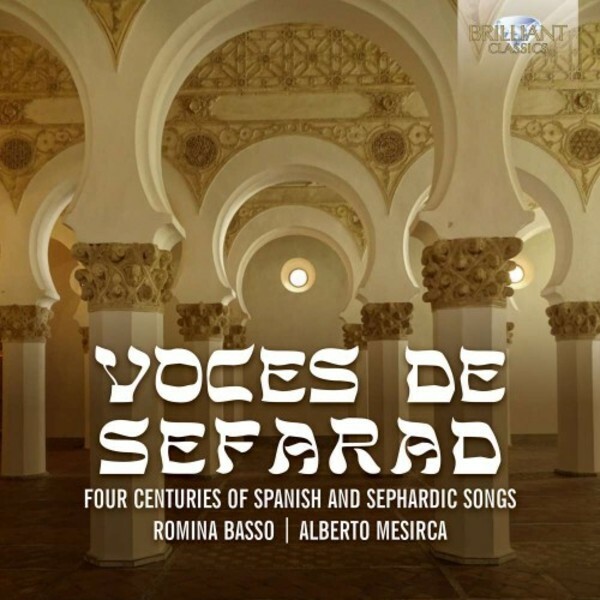 The poignant melodies and poetic lyrics of this selection of Sephardic and Spanish songs have been re‐interpreted in an exciting new release by Romina Basso and Alberto Mesirca, and the timing could not be better � serendipitously it coincides with the coming into effect of the law granting Sephardic Jews dual citizenship rights in Spain, over 500 years after they were expelled. The recording came about thanks to an idea, sparked by an encounter between the artists in 2014, to fulfil Basso�s long-cherished dream of making a release devoted entirely to Spanish vocal music. The journeys the Sephardic Jews made on their forced migrations are reflected in the imprints that the various cultures they encountered along the way left on the Sephardic musical tradition. From Turkish lullabies to Hispanic romances, tonos humanos (Iberian secular songs) to traditional Sephardic songs, the traces of the cultures they passed through still resonate in the accompanying instruments and improvised melodies. The works span over 400 years, from 16th‐century composer Mudarra�s Triste estaba el rey David to Rodrigo�s Adela from 1951, reflecting Sephardic Jewish migration over centuries. Mezzo-soprano Romina Basso, although better known for her Baroque opera recordings, is a seasoned interpreter of a variety of vocal music, performing regularly throughout Europe in such prestigious venues as the Vienna Konzerthaus and the Barbican Centre in London. Alberto Mesirca, dubbed �prodigiously talented� by Classical Guitar Magazine and three‐time winner of the �Golden Guitar� award, lends his expertise, and the pair are joined by an ensemble of Turkish musicians led by the percussion maestro Fahrettin Yarkın.